Are you trying to unlock the perfect Cypress TX HVAC Service of your dreams? Perhaps you’ve been clicking around the Internet in hopes of finding a powerhouse company. If you still haven’t found the right amount of luck, we can make sure you have the assistance you need. Though this can be incredibly hard for you to handle, know that we can provide you with the assistance you’re looking for. Houston Admiral Services is ready to help, and the only thing you have to do is call our number and let us know. With the admiral of Houston on your side, nothing could go wrong, right? Are you ready to begin looking for your next HVAC service? Perhaps you’ve just moved into Cypress and you’ve got all the wrong resources in your life. This is something that can really cause you to feel like you’re losing all hope and grip. While this could be the necessary adjustments you need to be better, you’ve got to realize that it will take time. Play the long game and count on Houston Admiral Services. We’ll ensure your customers stay cool headed for days and years to come. Our repairmen are all ready to begin giving you the right resources for what’s going on. 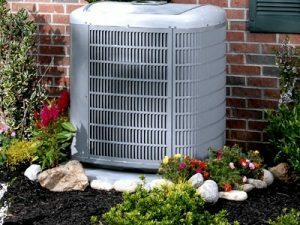 Are you ready to work with our team and make sure you have the right selections and connections for your Cypress TX air conditioning? If you’re prepared to start using our services, things can truly change in a heartbeat. Make sure you’re able to figure out your conundrums by calling in our team. Whenever you’re trying to do things differently, we’ll be on your side. With our team around, you won’t have to worry about your struggles for very long. Our team is on your side, and we’ll make sure you don’t have to realize things all by yourself. Ensure you can make the most out of your situations by calling in our team here at 281-876-9400 for more information. Are you a big fan of leasing and financing? If you’re trying to figure out how you can still acquire nice things without having to pay too much money out of pocket, you’re definitely going to want to take advantage of our services. We realize that things can get really tough if you don’t have anyone helping you out with your cleanings, financing, and repairs. While you may feel like you’re all alone in this aspect, you can count on a support system and a group to care of you. Take advantage of the FTL Financial Lease if you’re ever trying to figure out your concerns. You probably want someone to help you locate a fixed rate, and we completely realize that this is something you deserve and desire. Are you ready to start figuring out how you’re going to be able to save some cash and get this in the best condition possible? While you might not know how to navigate this quite yet, our team of professionals understand what to do. We’ll make sure you are taken care of, and you can count on our financiers to be accredited professionals. The FTL ESC Card is an awesome resource to have when you’re trying to save some money while lowering your monthly payments over the process. Are you trying to figure out how you’re going to be able to pay towards your interests while also lowering what you have to give the bank each month? This is something that we take very seriously, and we’re going to be there for you when you need some assistance. When you’re trying to get the fairest Cypress TX HVAC Service and you don’t know what to od, our team will be there to provide assistance that makes sense. We truly care about what it’s going to take to help you get good deals on your air conditioning units, and our team wants you to succeed. Call us at 281-876-9400 if you’re ever trying to figure something out; our techs can provide you with timely solutions for an affordable price. 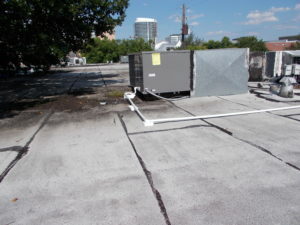 Do you have a residential HVAC that needs to be replaced or install? Maybe your old one is broken and you need someone to provide you with the right residence piping repairs you’re been using. While you may feel like things will get out of control, count on our team here at Houston Admiral Services. By calling 281-876-9400 and figuring out everything you need, you’ll be just fine at all times. Houston Admiral Services is here to make sure you’re able to succeed in the face of the adversity, and we’re ready to help you whenever you need us. Are you ready to start making the most to of the servicemen that we provide you with? This could be a very tough thing to deal with. You have every reason to be worried and out of control. While this could be your instinct it’s always good to find someone who knows how to handle things without fumbling. You’re probably trying to find the right Cypress TX HVAC Service options for your specific situations. We’re looking for clients and customers that can keep our hard-working and honest technicians very handy. Are you ready to start discovering more ways of getting the most out of your HVAC services? If so, count on us to join the movement. Houston Admiral Services really cares about our clients. Our team will be there if you ever notice you have some problems with your air conditioning systems. Call us today at 281-876-9400 if you have any curiosities. Our team of technicians are ready to work with you and make the most out of your situations. Cypress is a great place to live if you’re trying to find some of the best schools for you and your family. Did you know that our school districts are some of the best in the city? If you’re trying to get to bottom of your education needs, our team can help. Call today for more information!